The BJP launched its theme song for the Lok Sabha elections 2019- Phir Ek Baar Modi Sarkar. 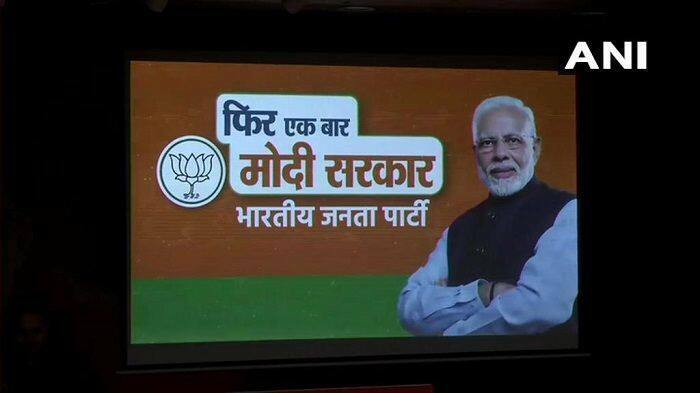 New Delhi: The Bhartiya Janata Party (BJP) released its theme for the upcoming Lok Sabha elections 2019- ‘Phir ek baar Modi sarkar’ on Sunday. Launching the theme song, Union finance minister Arun Jaitley insinuated that this election will see a contest by PM Narendra Modi against the rest. The Congress also on Sunday launched its campaign slogan for Lok Sabha polls, ‘Ab Hoga Nyay’, asserting that there was an atmosphere of ‘anyay’ or injustice prevailing in the country.